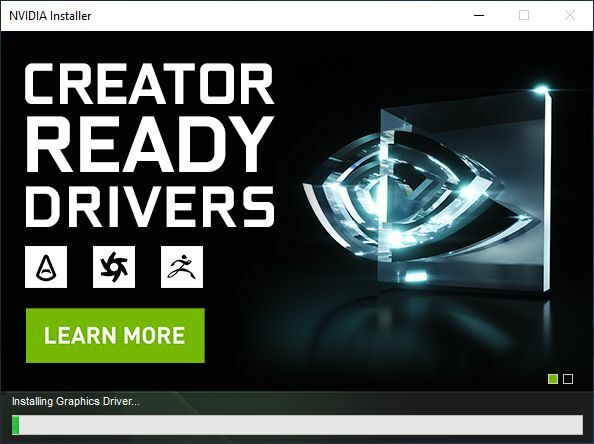 NVIDIA has released a new family of graphics drivers called Creator Ready Drivers (CRD). NVIDIA RTX GPUs have given video editors, 3D animators, broadcasters, graphic designers and photographers around the world a major boost in productivity with hardware-accelerated ray tracing, AI-enhanced creative workflows and advanced video processing. But as demands increase on creators to generate higher volume of quality content, it’s more important than ever to ensure the apps and hardware that creators depend on never miss a beat. So NVIDIA has introduced a Creator Ready Driver program to provide artists, creators and game developers the best performance and reliability when working with creative applications. To achieve the highest level of reliability, Creator Ready Drivers undergo extensive testing against multiple revisions of the top creative applications. Whether you just updated to the latest release of your favorite creative app or are still on the prior version, Creator Ready Drivers are fully tested. CRD 419.67 exposes OpenGL 4.6 (419 extensions) and Vulkan 1.1.95 for a GeForce RTX 2080. - Verified the following displays as GSYNC-Compatible. 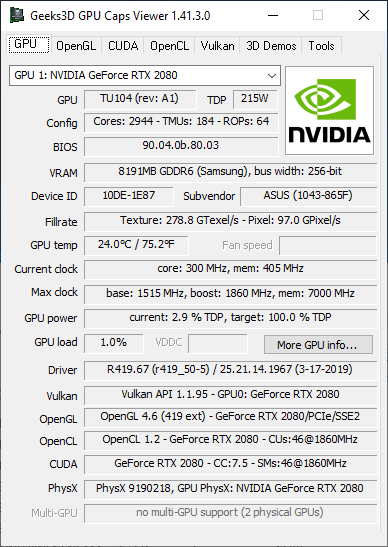 - NVIDIA Control Panel: Changed the default setting on the Manage GPU Performance Counters page.